Do you want to experience the real forces of an F1 car without the car? I introduce to you the Graviton G6 high-end professional driving simulator which lets you experience real forces of an F1 car. The G6 is a head mounted force feedback interface. 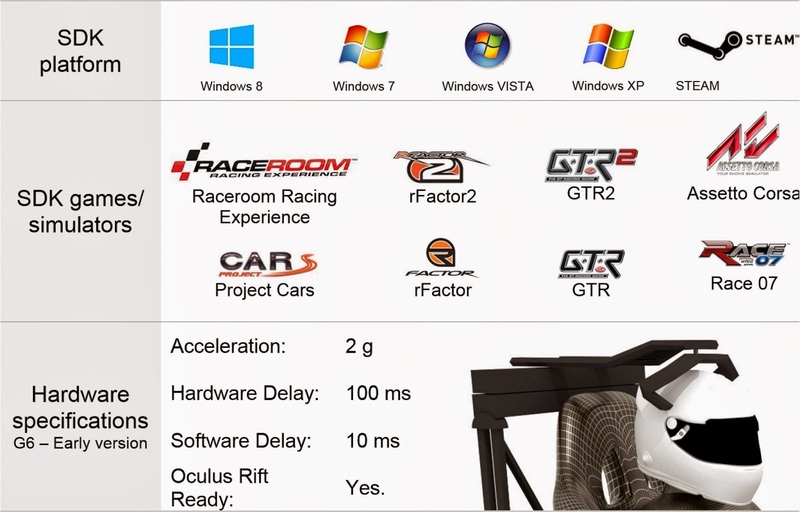 Simply put it is a driving simulator which lets you feel the forces of the car. They have found that most of the force is felt on the head that led them to design the G6, to give you an immersive feel of the virtual vehicle. This is because the weight of the head makes the neck muscles work harder, and this is also felt by the inner ear which is the main sensor of balance and movement of the human body. 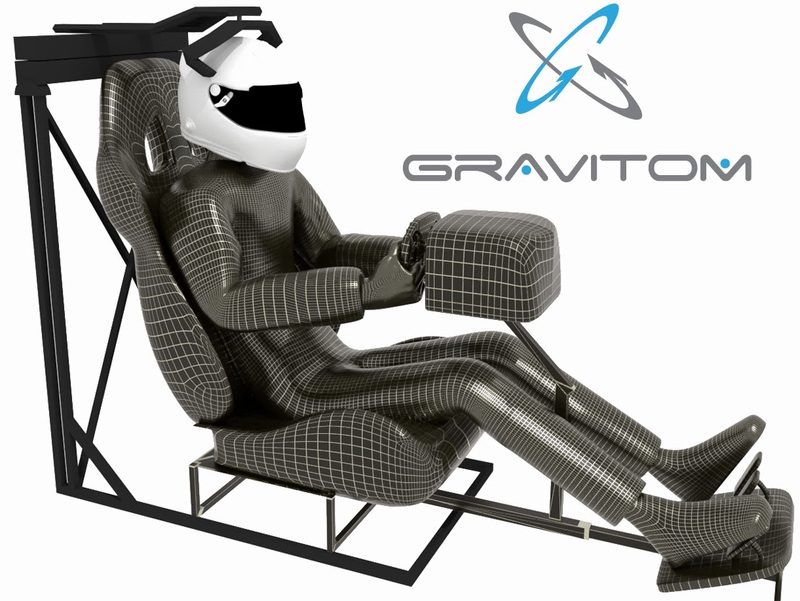 By not releasing a whole body solution they are able to reduce the price, offer larger force feedback, be more accurate with faster response time, and it can be integrated in any racing cockpit. They did extensive prototyping with professional and regular drivers. They found that most of the race car drivers did not like racing games because they did not provide enough realism compared to their actual race cars. 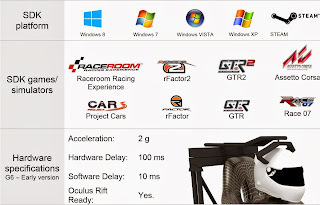 When using the G6 the race car driver said they felt the force of the car gave them better feel and control over the car in the game, they learn to handle the car faster, they crashed less, and most importantly they enjoyed it. The interface is attached to the driver seat base and is connected to the helmet. The interface exerts forces that are aimed to be equal to the forces of a race car (lower for settings for novices are recommended). It is the only simulator where you will be able to feel the full acceleration of an F1 car which can produce up to 6G of lateral force. The interface works as a force feedback device it does not make the head moved to a certain position but exerts force on the head no matter in what position the head is. The G6 interface is built using custom designed high torque and high-speed actuators which make it possible for the force to be without delay (no more motion sickness) and the force is generated is true scale. In its current state they provide an SDK platform for Windows and Steam. They also have an Oculus Rift ready helmet, this would provide an insane experience. They have future plans to support the Mac, Xbox, PlayStation, and Linux. 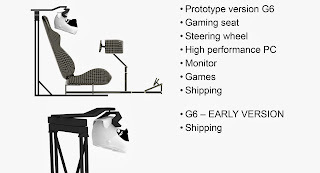 Future development will also have three types of products the 6G Pro which will provide forces up to 6G, the 6G race with forces up to 2G, and the 6G sport with forces up to 1G. 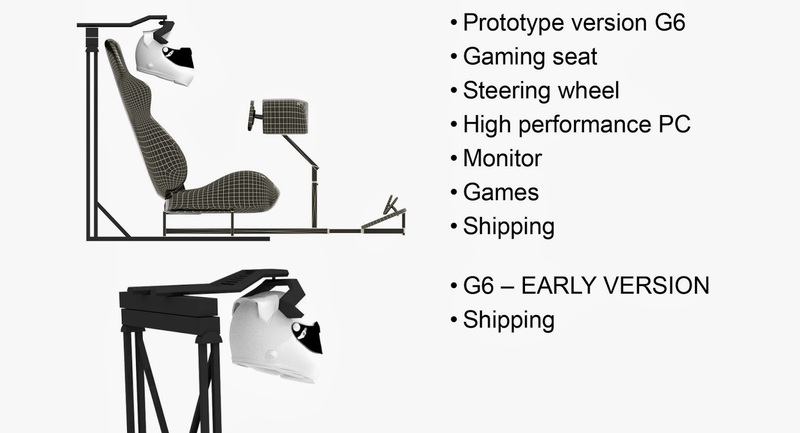 Every type will have speakers, microphone, be oculus rift ready, USB, power supply and universal helmet. But to make this happen they will need your help check out their indigogo campaign which starts 11/18/13.